Drawing on the author’s 30-plus years of working alongside young people and training youth workers in contexts ranging from recreation centers to homeless shelters, this book provides a rich and deliberate mix of theoretical grounding, practical application, real-life vignettes, and questions for in-depth self-reflection. Throughout Narrative Approaches to Youth Work, readers hear from a wise and thoughtful squad of youth workers talking about how they strive to do socially just, accountable, critical youth work. This is the book that youth workers who want to put into practice their desire to “meet youth where they’re at” have been waiting for. 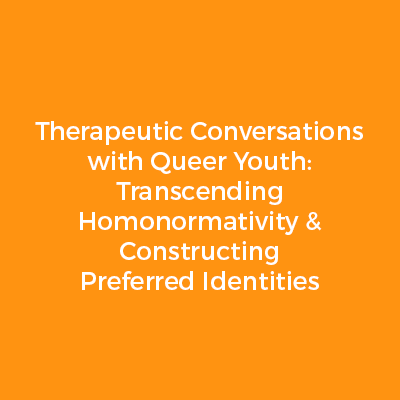 Narrative Approaches to Youth Work provides hope-filled and fresh conversational practices anchored in a critical intersectional analysis of power and a relational ethic of care. These practices help youth workers answer the all-too-common question, what do I do when I do youth work? The concepts and skills presented in this book position youth workers to do youth work in ways that honor youth agency and resistance to oppression, invite a multiplicity of possibilities, and situate youth and youth worker alike within broader social contexts that influence their lives and their relationship together.